Great gig last night, really enjoyed it. CW Stoneking is amazing – for about the first hour I thought he was American, from the Southern States. Born & raised in Australia! But he does have American parents. Had a few drinks after, and managed to stop a fight between an Australian chap and I think a Polish guy. Very strange. A 55km cycle today, not too strenuous. Heading to Ypres, one of the major Belgian sites for WW1, lots of famous old battlegrounds. Stopped at Poelkappelle cemetary along the way, estimated there were about 6000 gravestones in there. Campsite is nice, managed to get the tent up really quickly. Bit of a pro with it now, and so cosy when it was up. It’s strange carrying and constructing your bedroom with you wherever you go. Today spent the morning on a tour of the northern part of what was called the Ypres salient in WW1. Incredibly interesting. Most of the towns (including Ypres) were completely destroyed, but rebuilt after the war with German war reparations. 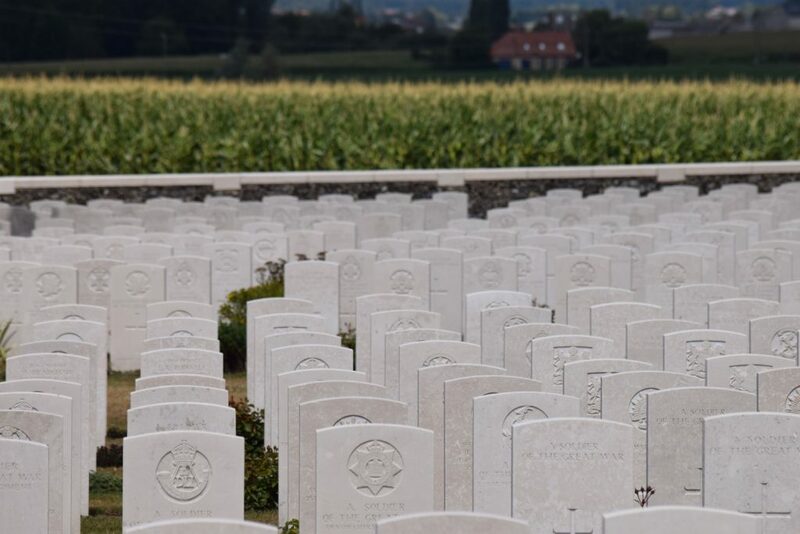 First visit was to a place called Essex Farm, where the Canadian doctor John McRae wrote the poem ‘In Flanders Fields.’ Went to a number of cemetaries and battlefields, including Passchendaele and also to Canadian & New Zealand memorial. Amazing that all these famous battles were all fought in this small area. This part of the frontline where 500,000 men died in the years of WW1, was only 20 miles wide, and 4 miles deep. Gas attacks also occurred first here, started by the Germans but the allies also carried out gas attacks. I’d highly recommend going on one of these battlefield tours if you are in the area. Then spent the afternoon in the ‘In Flanders Fields’ museum, so a real WW1 theme to the day. 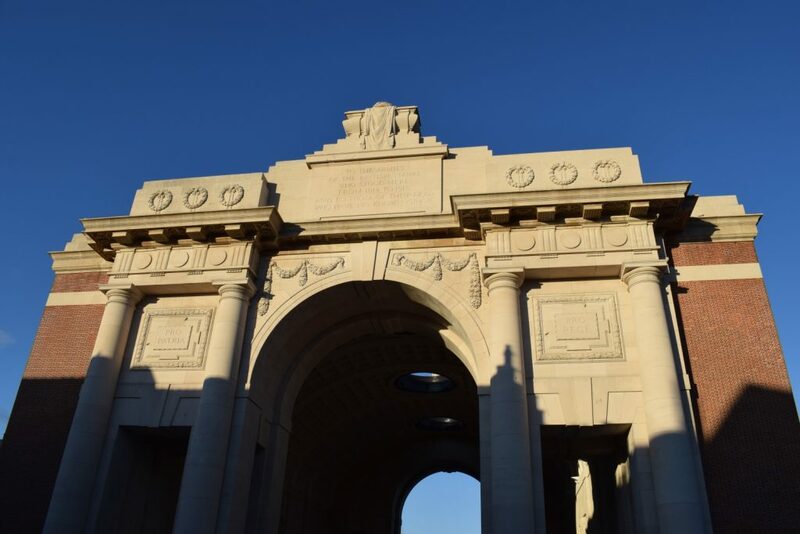 But that is the history of Ypres, and I suspect what draws most people here.